Secure solutions for the storage of servers. Businesses in today’s society are becoming increasingly more aware of the importance of IT security and the threats that can occur such as important data loss and breaches. Modern technology used to pick up data signal from computers and servers are becoming more available and accessible. This is resulting in businesses finding it more necessary to protect their data in their company IT systems. Server safes can prevent signal interception and act as protection for servers which can be placed inside the safe. Robur Server safe model RSKS 2000 are tested in accordance to SSF and certified by SBSC in accordance to SS3492. 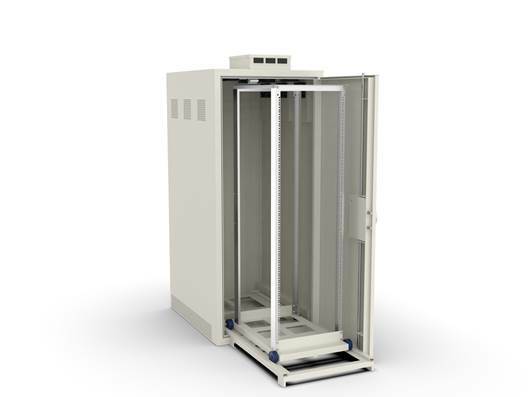 RSKS 2000 server safe is equipped with 12 thermostatically controlled fans and ventilation holes for transporting away heat.